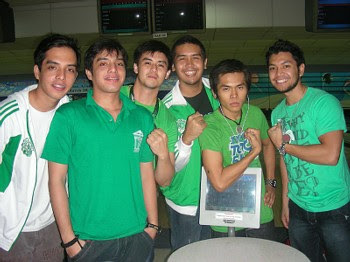 AnimoSibil was represented by DLSU-Manila CE alumni - Alvin Varquez, Allen Varquez, J oseph Reyes, Van Leano, Chito Borja and Art Ramos in the Philippine Institute of Civil Engineers - Lungsod ng Maynila (PICE-LNM) Chapter's Summer Bowling Tournament last March 28, 2009 at the Playdium Bowling Center at Quezon City. 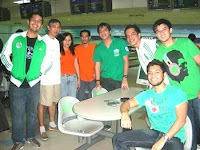 DLSU CE faculty and PICE-LNM Director, Dr. Andy Oreta also joined the team during the elimination round. The AnimoSibil team was overwhelmed by the strong teams from DPWH, construction and consultancy companies. Over-all, it was an enjoyable activity - there were a few strikes and spares but a lots of fun. 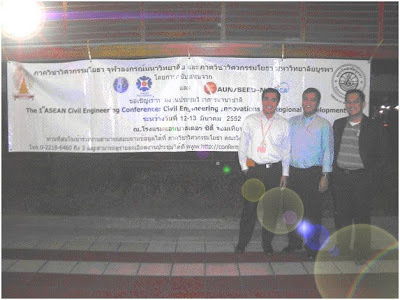 The 1st ACEC was organized by the Departments of Civil Engineering of Chulalongkorn University and Burapha University and was supported by the ASEAN Foundation and JICA through AUN/SEED-Net. Pattaya is a coastal city located south of Bangkok and is one of the popular tourist destinations in Thailand. 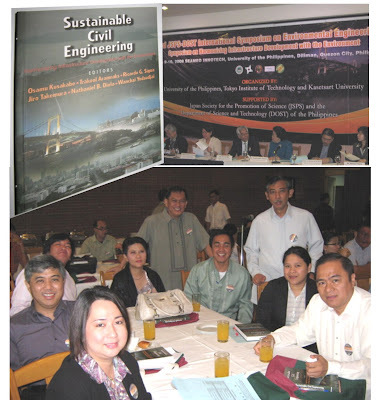 The ten year JSPS Core University Program on Environmental Engineering culminated with the 3rd JSPS-DOST International Symposium held on March 9-10, 2009 at the SEAMEO-INNOTECH, UP Diliman, Quezon City. 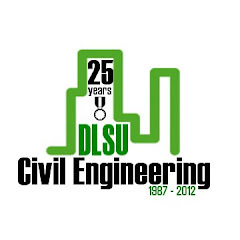 The Symposium on "Harmonizing Infrastucture Development with the Environment" launched the final output of the project which is a book entitled "Sustainable Civil Engineering." 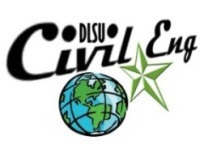 DLSU-Manila faculty members participated in this exchange program as visiting reseachers at Tokyo Tech and other universities in Japan, paper presentors in the various symposia and seminars and contributors in the book. In this symposium, Ronaldo Gallardo, Dr. Andy Oreta and Dr. Jonathan Dungca served as facilitators in the technical sessions and workshops. Papers were presented by Mary Ann Adajar on "Geotechnical Hazards & Disaster Mitigation Technologies", Dr. Dungca on "Geotehcnical Centrifuge Test on the Lateral Response of Double-Pile Group Subjected to Lateral Spreading Liquefied Ground" and Dr. Oreta on the "Impact of Natural Disasters on Infrastructure and the Environment." 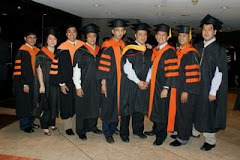 The other participants were Dr. Alexis Fillone, Dr. Bernardo Lejano and Dr. Danilo Terante. Gallardo, Oreta, Adajar and Dr. Romeo Etsanero (retired faculty) contributed articles in the book.